Manchester alternative rock trio Divine Planet has just launched a new single "Bachelorette," a follow-up to their last year's EP "Synthetic Taste of Cherry." 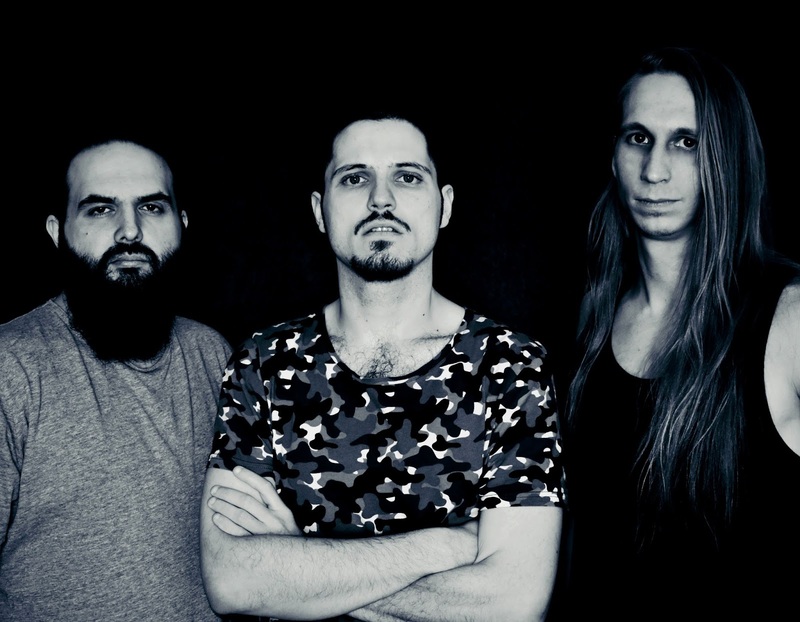 About it, as well as their next steps, guys talk in a new interview for Metal Horizons. Alright, first thing is first. Before we dive into all the music stuff, how's life? Fab: Cold, synthetic and alienating, which are First World Problems, so that’s fine. Alexis: Very weird, abstract and dark with a glimmer of light at the end of the tunnel. Speaking of new music, you have a brand new single. Tell me more about “Bachelorette.” What does it represent for Divine Planet, and how does it compare with the material present on your EP “Synthetic Taste of Cherry” (2017)? Alexis: A part of our journey completed and the continuation of our story. Fab: Most of the music from the first EP was already written before I joined the band, so we just arranged all the vocals and adapted bits and pieces. These new songs we’re recording at the moment have been created as a result of a more… “collective effort”. I mean, usually Alexi comes up with the “chords structure” and the general vibe of the song, but still the amount of stuff that we built around that initial skeleton was bigger than ever before, which is quite cool. What was it like working on the new single? Adam: During the making of the first EP we were still getting to know each other and figuring stuff out. Especially with mixing, which we’ve been learning from scratch. Now we have acquired all the knowledge and equipment in order to be able to make and produce music as we want it to be and I think working on Bachelorette was quite a smooth ride. We all now know what we are doing, what tasks each one of us has and what to expect from each other. The new single was actually my first drum performance for the band, coming from bass and I absolutely love the new role. Alexis: Currently only in the UK but if we were given the opportunity we would definitely tour around Europe. Adam: Yeah, we’ll be booking gigs for the next few months and we wanna play as much as possible. Manchester is rather conveniently placed in the UK so it’s not that far to travel to other locations. Can’t wait for our first show outside of the UK though! Fab: Anywhere really. I’m sure every place has its special charm. Adam: I agree. For me that’s one of the best parts of being a musician. You do what you love and you get to travel and see places. I would love to visit as many places as possible. Fab: I like so many different genres and artists. Spotify says my favourite genre is “alternative metal”, whatever that means. I like heavy riffs, interesting vocals and proggy stuff, so let’s say Deftones or Tool for me. Adam: Same here. I listen to variety of genres, from 60’s psychedelic rock, 90’s grunge, heavy stuff like Behemoth to solo singer-songwriter artists. If I had to choose the most influential band for me than would be Polish prog-rock Riverside. Every single album is different, wonderful, musically and technically very advanced. It has pretty much all you need, riffs, melodies, groove and the feel. Alexis: All of us are pretty much influenced by different bands and styles. We have our fun arguments behind the scenes. What other genres of music do you listen to? Have any of the other genres you listen had any impact on your playing? Fab: Hell yeah. I think I can enjoy pretty much every single one. I have always been a huge fan of acoustic, country-based music, I feel it’s incredibly powerful and intimate, it moves me. Alexis: Soundtrack music for sure. Powerful synths and battle drums just seem to do it for me. Adam: Since my music taste is quite vast and I believe every genre has something unique, I try to incorporate bits of different styles into my playing. Alexis: To keep supporting the scene and other independent artists. Keep rocking. Adam: Music is a great tool and a remedy for a lot of things. As Alexis said, keep listening to music, attend the gigs, meet new people that share your interests and most of all have a lot of fun whilst doing it! Both "Bachelorette" and "Synthetic Taste of Cherry" are available from Divine Planet's Bandcamp. Stay in touch with the band via Facebook.